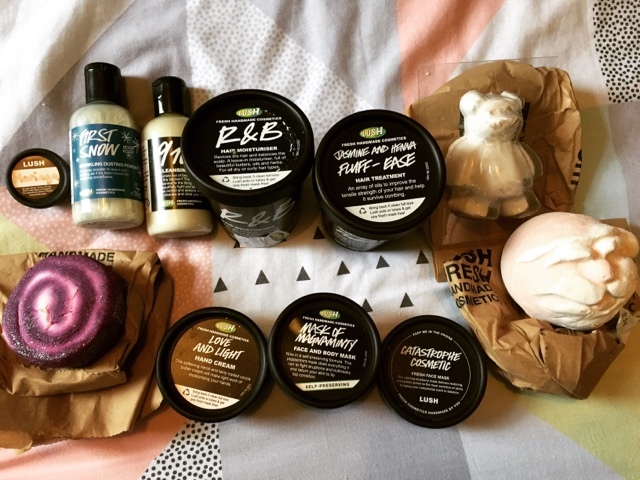 A few weeks ago I popped along to Lush Sheffield, on Fargate. 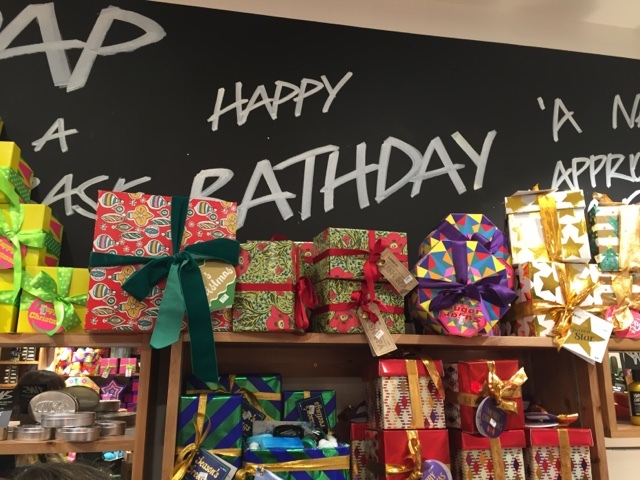 I am always excited by Lush's Christmas range so I was hoping that I would get to discover a few more new favourites. I already stock up on Snow Fairy and Rose Jam so I can enjoy this long into February. The event was divided into different stations so that small groups of us could go and hear about different products and see the demonstrations. I prefer smaller groups so you can ask questions and get to know people a little better, in bigger groups sometimes you can get overlooked. 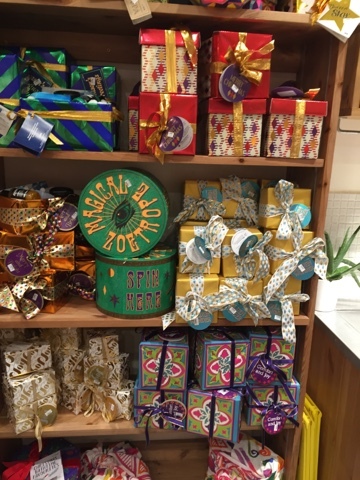 I was not disappointed by the Christmas products on show, it was Snow Fairy, Rose Jam, Christmas-y bath bombs galore. 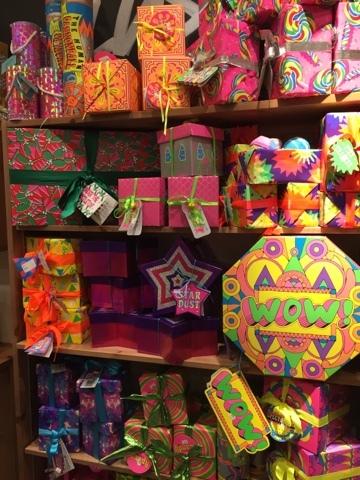 It was a nice shopping experience in the store when there were just Bloggers, as there was none of the usual hustle and bustle of Christmas shopping. 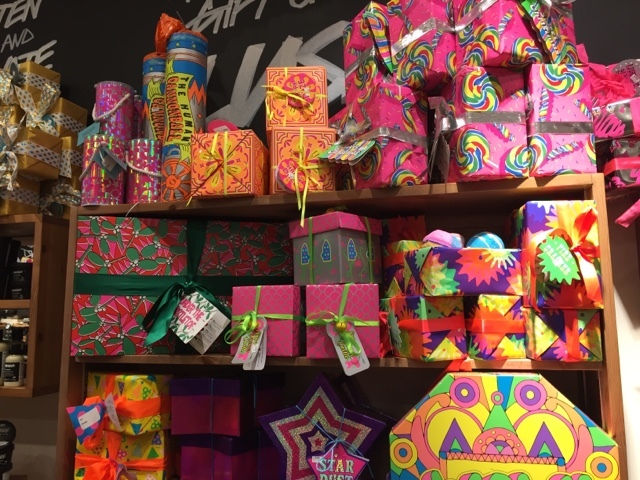 My first Lush station was the Gifts, if you haven't already seen the gifts that Lush sell you need to, because they are so beautifully wrapped and the products are carefully put together as little sets. There were so many gifts that I hope are going to be in my stocking on Christmas morning, but I was almost flabbergasted at the WOW gift, it really does make you say WOW. It is huge and packed full with thirty-six Lush products, you must have been really good this year to receive this from Santa. 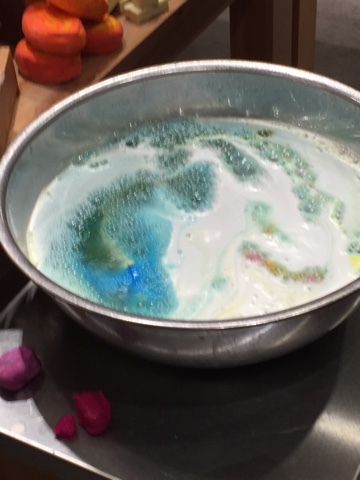 We then learnt about all the Christmas bath bombs and bars. My favourite from last year is Golden Wonder, I won't give you any spoilers but it is full of so many surprises. We then got to see a demonstration of Golden Wonder and people were swooning all over it, and I know why. We then all got the chance to make out very own Butterbear, I love this as it was great to see how and what goes into each one. 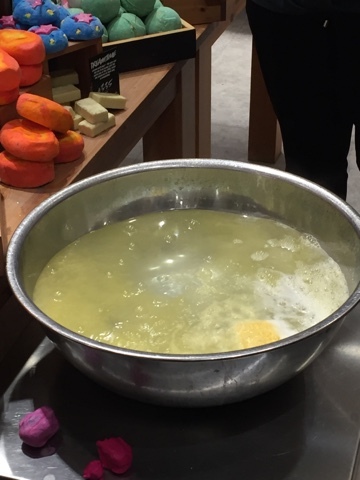 The next station was skincare, this is where we talked about our skin products and got to test out a few on our hands to see if we liked the texture and the feel on our skins. I have already brought a few of these so it was good to test out Cranberry and as soon as I polish off Catastrophe Cosmetic I will be going back to buy this. I loved how bright this left my skin and how hydrating this looked so I can't wait to test this out. Finally was haircare, I have talked a lot about haircare and after trying and testing many hair products I still haven't found the one. I spoke about my dry ends and how snappy my hair has become and I was recommended Hair Custard, I know Custard??? I have already blogged about this as I am in love with how my hair has looked and felt since using this and I have had people commenting on how long my hair is, so it really has been bringing my hair back into shape, so thank you Lush. After being treated with mulled wine and Macaroons all night, we were then gifted with a fairly humongous goodie bag. Which, due to the crappy weather, did end up rolling around the bus on the way home as my bag spilt so I did need to rescue a few stray products, but I was genuinely shocked with the number of products it contained. Inside was R and B Hair Moisturiser, Jasmine and Henna fluff - Ease Hair Treatment, Nine to Five cleansing lotion, First Snow Dusting Powder, My handmade Butterbear, Mask of magnaminty, Love and Light Hand Cream, Catastrophe Cosmetic and a sample of Magical Morgina.